Bloomberg A nurse administers a flu shot at Perry Memorial Hospital in Princeton, Ill. Last season, the flu killed about 80,000 people. Flu killed and hospitalized more people in the United States last winter than any seasonal influenza in decades, according to new data released Thursday. It's the most detailed picture of the devastating reach of the respiratory virus, which sickened millions of people as overwhelmed hospitals pitched tents to treat patients. As a new flu season gets underway, public health officials say last year's toll underscores the importance of getting a flu vaccine each year. Influenza killed about 80,000 people in the 2017-2018 season, according to figures released by the Centers for Disease Control and Prevention. The previous high for a regular flu season, based on analyses dating back more than three decades, was 56,000 deaths. There were record-breaking levels of illness, hospitalization rates and deaths in children. Pediatric deaths totaled 180, he said. Only the 2009 swine flu pandemic, which killed 358 children, was worse since health authorities began tracking child deaths from flu 14 years ago. Despite the dreadful season last year, overall vaccination coverage remained flat; as in previous years, less than half of the U.S. population was vaccinated. But most concerning to officials was the drop in coverage among the youngest children - those under 5 - who are at highest risk for serious flu complications. 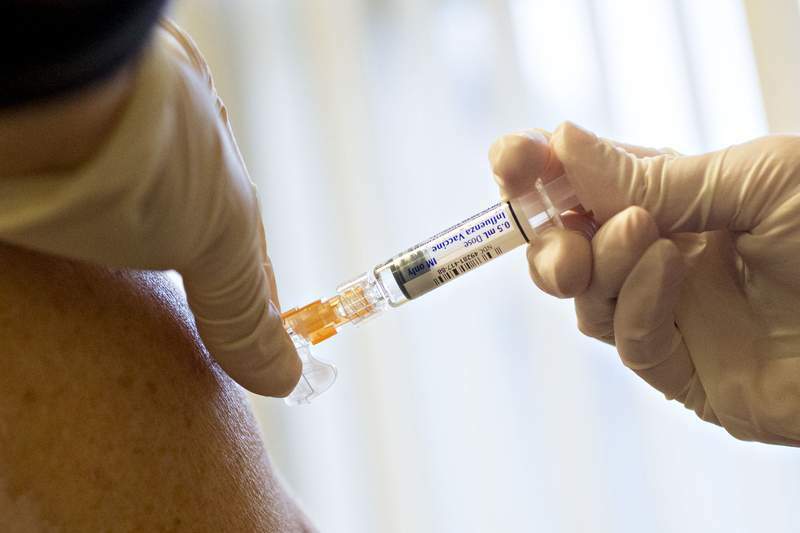 Officials and clinicians say they don't know why more people did not get vaccinated given that last year's flu season, which started early, dominated news during the winter and into March, and lasted for 19 weeks, making it one of the longest in recent years. They speculate that some people decided that flu vaccines, which are never as effective as most other vaccines even in a good year, aren't worth the effort. A new vaccine must be designed every year to best match influenza viruses circulating in the previous season. A preliminary estimate showing last season's vaccine to be about 36 percent effective overall may have convinced some people not to bother, clinicians said. A final estimate shows the vaccine was about 40 percent effective in reducing a person's risk of becoming sick enough to need to see a doctor. But experts say focusing only on that measure misses too many other benefits of the vaccine that are less well-known. Flu's impact on the body goes well beyond the acute respiratory infection, and a flu shot can prevent or reduce the severity of numerous complications. “We've got to try to do something about the messaging,” said William Schaffner, medical director of the National Foundation for Infectious Diseases and an infectious diseases professor at Vanderbilt University. The vaccine can reduce flu illness and hospitalizations, can protect pregnant women during and after pregnancy and be lifesaving in children, Jernigan said. For older people with chronic health conditions, getting a flu shot is as effective at preventing a heart attack as quitting smoking, taking cholesterol-lowering drugs or taking blood pressure medications, recent studies show.